In my hometown of Enterprise, Alabama today is a somber day. Today marks the 9th anniversary of the EF4 tornado that ripped through our town. 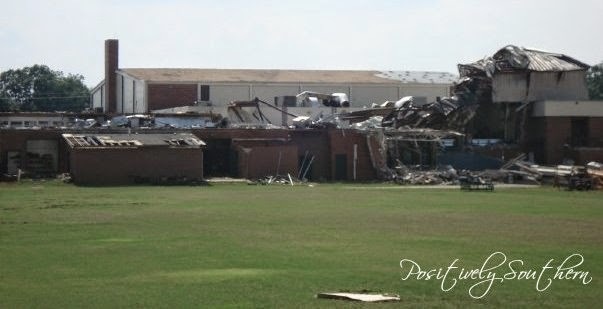 The tornado destroyed my high school...Enterprise High School taking the lives of 8 students and an elderly lady living close by. Last year was my first time blogging about that day. In tribute to those that lost their homes, their businesses and their children I'd like to share it again. So to my faithful readers thank you for allowing me to reshare this somewhat personal event. Most of you come to my blog to see pretty pictures and read about what I've done recently in our home. 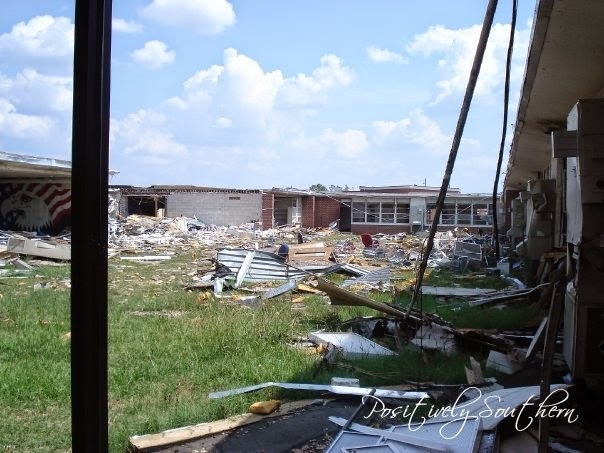 But today, I'd like to tell you about how an EF4 tornado on March 1, 2007 would forever change countless lives and landscape of the my hometown, Enterprise Alabama. It was a typical Thursday for me here in Auburn, I had taken the kids to school, was home doing normal housework and of course as any good daughter would, I had talk to my parents. Later in the morning, Mother called me back to tell me she was going to have to start her bus route earlier due to the schools letting out early in order to get the students home before the storms were expected to hit. Have I ever mentioned she drove a school bus for Enterprise City Schools for 27 years? Around 1:30PM a friend in Savannah called me to ask if everything was okay with me and had I seen the Weather Channel. She went on to say that Enterprise High School had been destroyed by a tornado. I remember asking her things like,when she had seen this, when did it hit all the while I was looking at my clock trying to decide if my Mother would have made it to the High School. We hung up and all I could do for a few minutes was think that Mother would have already made it to that school...she always started at College Street Elementary School but from there headed on the the High School. I tried to call Daddy to see if he and Grandmother were alright but they didn't answer....Mother wasn't answering her cell phone...panic had set in. By now I had gone to pick up my own children from school. All this time I am phoning Mother's cell non stop. She finally answered and the relief I felt was unimaginable. She was safe! When she had arrived at the Elementary School, she along with the other bus drivers were radioed to come inside the school for safety and she was in the basement. At this point she didn't know what had happened or that the High School she had graduated from had been destroyed. When I told her the news reports were bad and that the school had been destroyed she wept. Later in the afternoon my Daddy was able to make it to the school to pick up Mother and take her home. We found out within the first 24 hours just how great the loss of life was. The loss totaled 9 that day, 8 students at Enterprise High School died along with an elderly lady that just happened to have been my Mother's Sunday School teacher at some point. One of the students had ridden Mother's bus. For days we watched news footage in disbelief of the damage through out our town. Now for the first time in our history we were known for something other than being the only place with a monument to an insect... the Boll Weevil Monument, our claim to fame! In June of 2007 I was allowed to go into my high school for the last time. This is how I happen to have these photos. 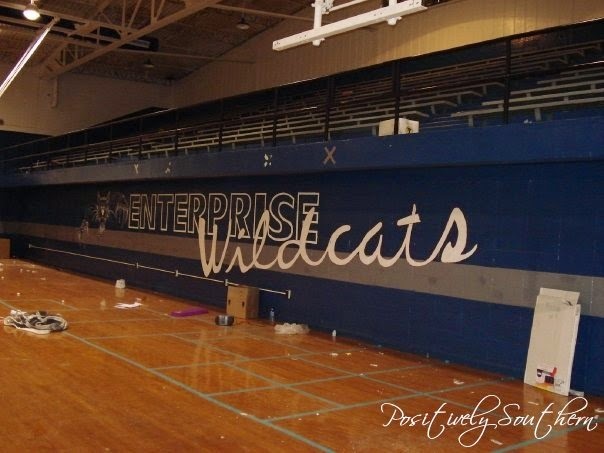 I walked the halls of Enterprise High School for the first time since I graduated some 24 years earlier. 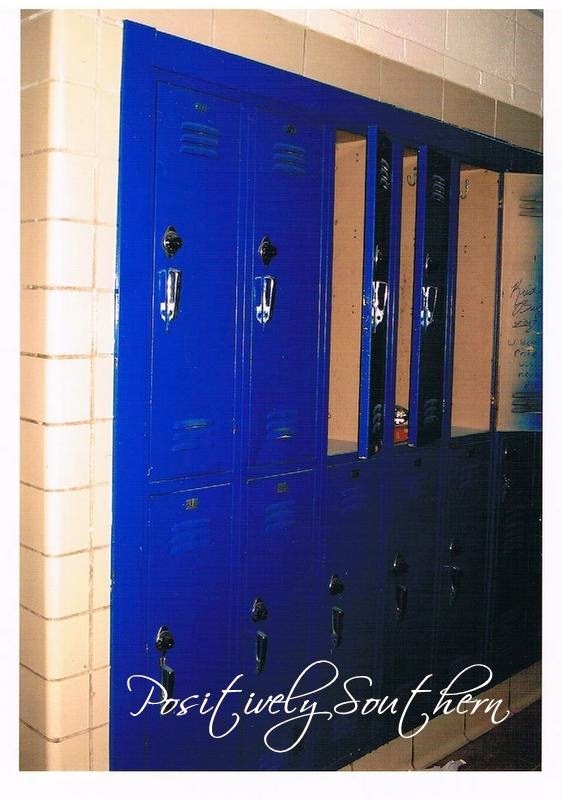 I even found my locker on what we called "short hall." 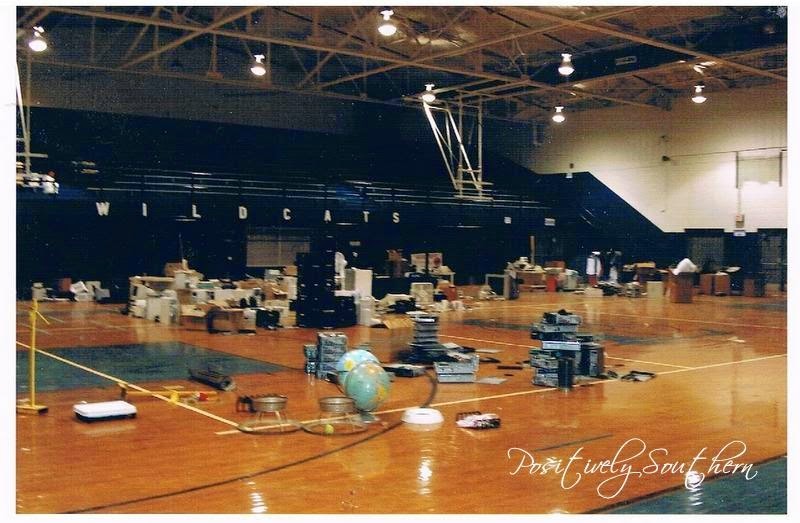 It was bitter sweet...the halls were still strewn with what I can only imagine were the contents of lockers and classrooms and then there was debris from the storm. 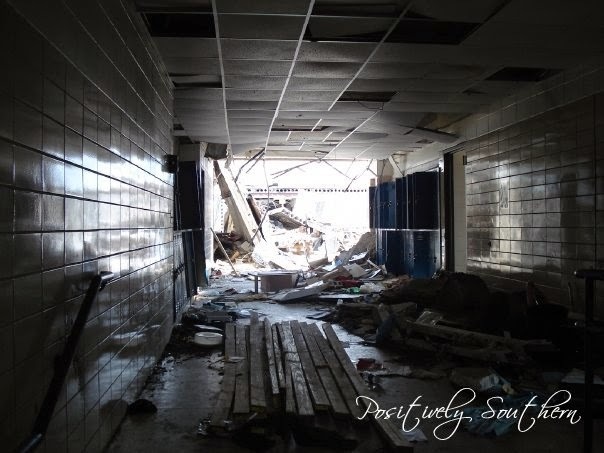 The photo below is of "third hall" where those 8 EHS students perished. That hall that was once filled with the exuberance of children laughing and yelling and carrying on was now quiet and still and broken...oh so very broken. 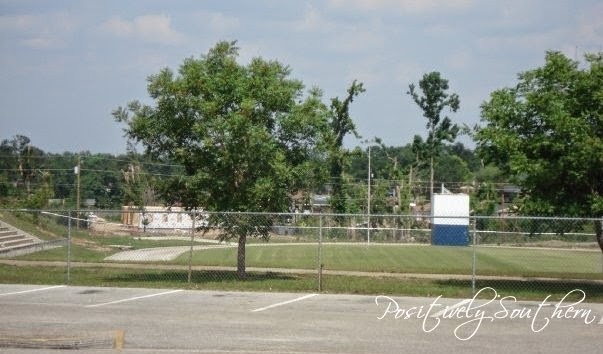 I walked past Bates Memorial Stadium where the trees, score board along with stadium seats were destroyed. My first kiss happened in that stadium and my graduation took place there as well. 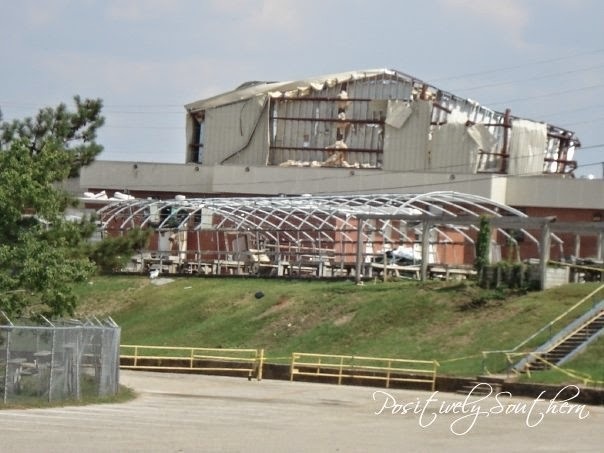 The greenhouse that I spent countless hours working in during my Agriculture classes was torn apart. My favorite class during high school was Agriculture, so needless to say I had to visit that room once again. Many times we've all heard people on TV speak about how one house is spared and the one next door might be destroyed. The gym looked just like it had looked on the last pep rally I attended in 1982. It was as if the tornado hadn't touched it at all. It became a storage facility of sorts for undamaged items. 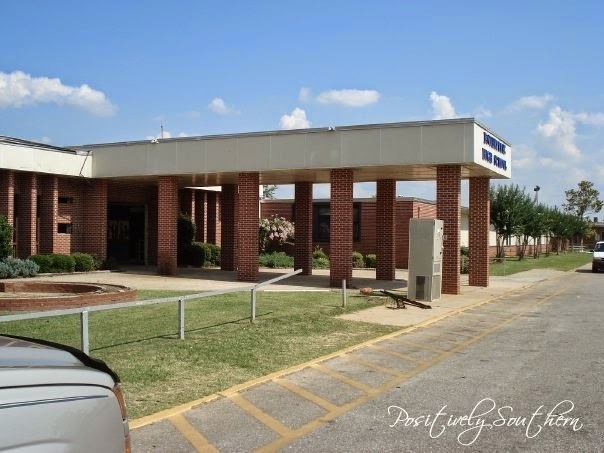 The afternoon I visited my high school, I drove away never to see it again. 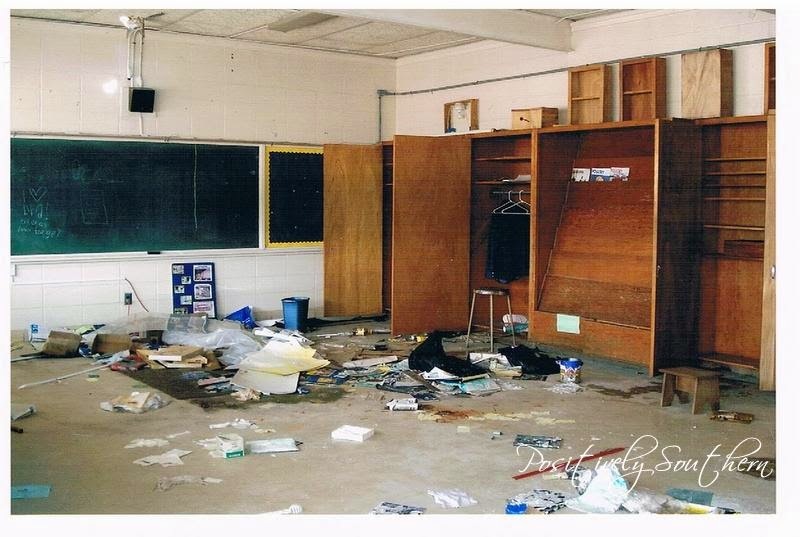 Due to the damage to the school it was decided that it would be torn down and rebuilt at a new location. To those whose lives were changed that fateful day, I pay tribute. This blog made me cry. First, loss of life always makes me cry, especially small children. 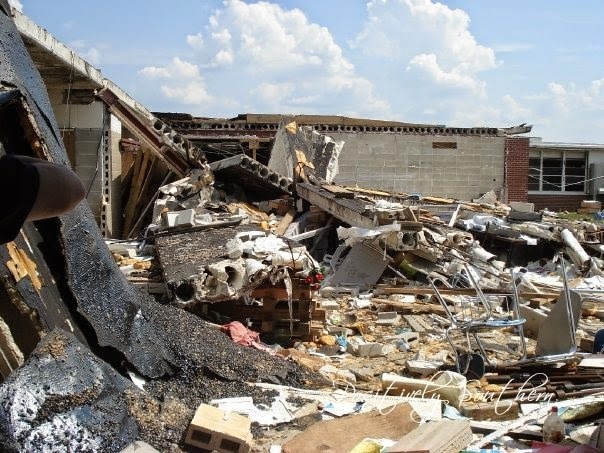 But it also made me cry because tornado stories always take me back to the day one of my kids and I sat in the shopping mall shelter and then drove through a sea of debris in Joplin May 22, 2011. That day changed me forever. By the way, I grew up K-12 as a Wildcat, too! I am from the Atlanta area abut now go to Troy University and know people that went to EHS. It is so sad to think about and the pictures make it seem so much more real, but it is amazing to see the new building they have and how they have grown from this. Your post is a great tribute. Tornadoes are so frightening to me even though I've never experienced one. There have been tornado watches where I live and even a warning or two, but never a direct hit. I'm from SoCal and Earthquakes frighten me even more because I lived through a scary one when I was 10 years old. Wow! What an informative post. I am so glad that your mother was OK. We forget how quickly life can be snatched from us and that every day we have is a blessing. Wow, I didn't realize you lived so close to Enterprise. My husband is from Greenville and we travel past you every time to go for a visit. Being from the west coast, tornados are definitely something I've had to wrap my head around. Loss of any kind is tragic but I am grateful that more lives weren't taken and that you and your family were all ok. I can not imagine living in an area near tornadoes, they scare the heck out of me. I am so very sorry for the loss of those children and the lady and also the school. Tragic events always change us. So sad.